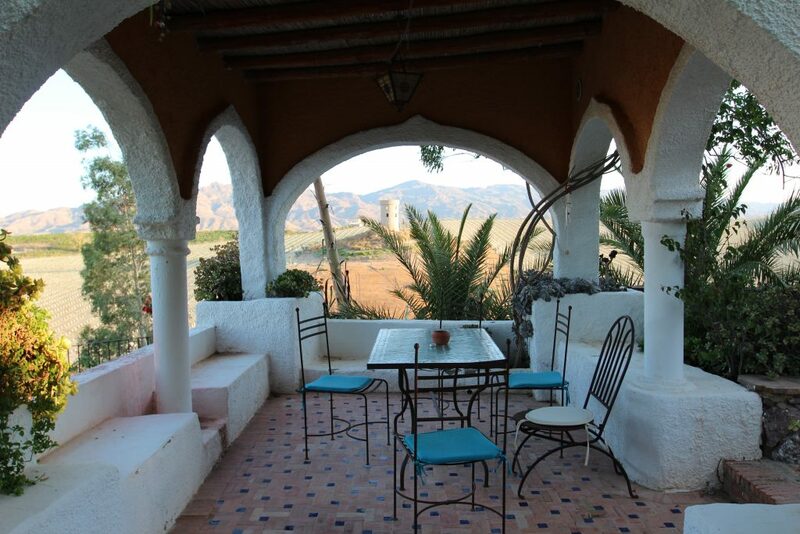 Below is my review of a Utopian Retreats holiday at La Finca Paradiso, Spain. A week long holiday guided by yoga teacher, Zephyr Wildman, my time here was nothing short of heavenly. 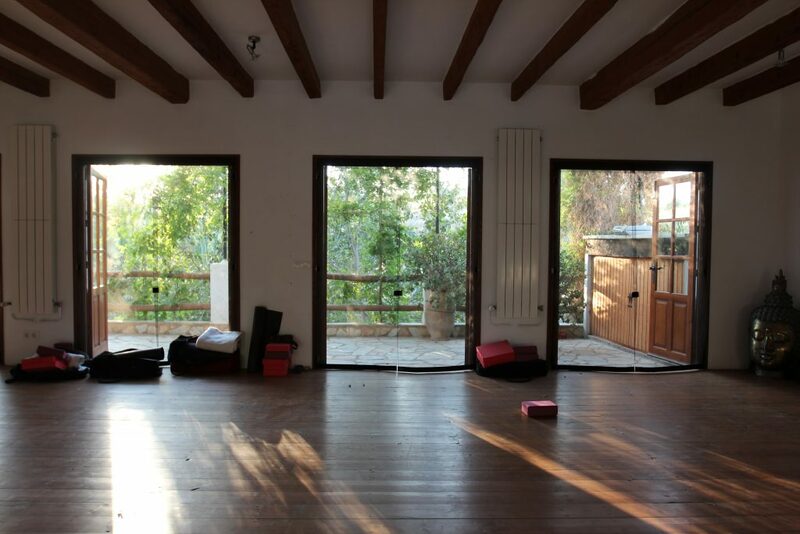 2015 has been the year that the yoga retreat and I have fallen in love. A new devotee to these beautiful breaks, I’ve spent the summer taking short pilgrimages across Europe in order to simply roll out my mat in blissful silence. 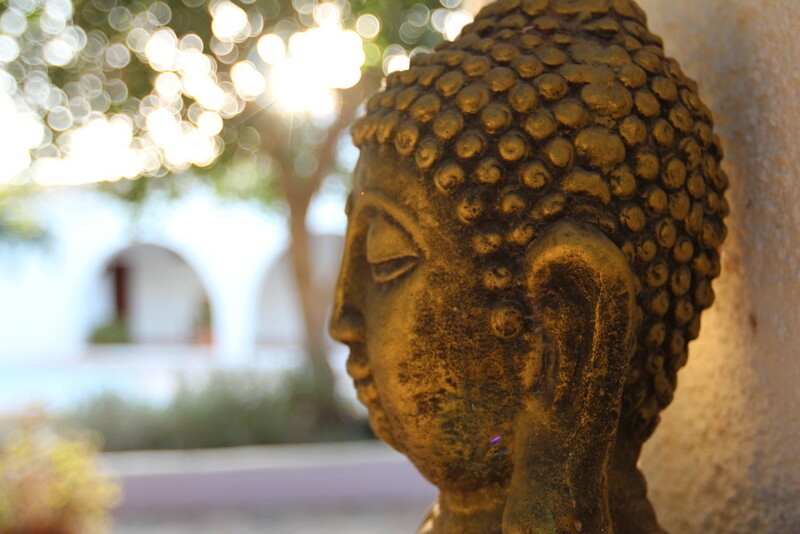 I’ve become that sort of person that talks about yoga retreats almost constantly – waxing lyrical about the perspective they provide, the inner peace they bring and the inevitable bronzed glow that they leave you with. 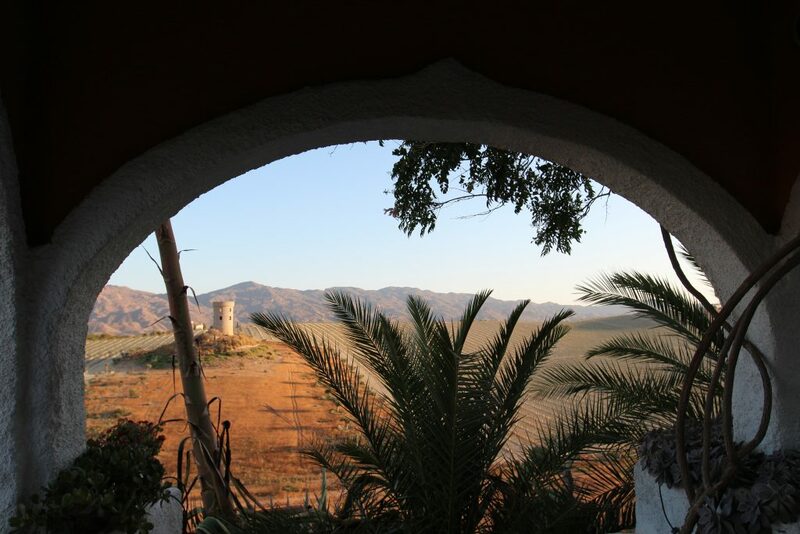 Following my successful trip to Silver Island earlier in the year, I had lasted an entire fortnight before booking my second retreat; this time to the heavenly La Finca Paradiso in the heart of rural Andalusia. 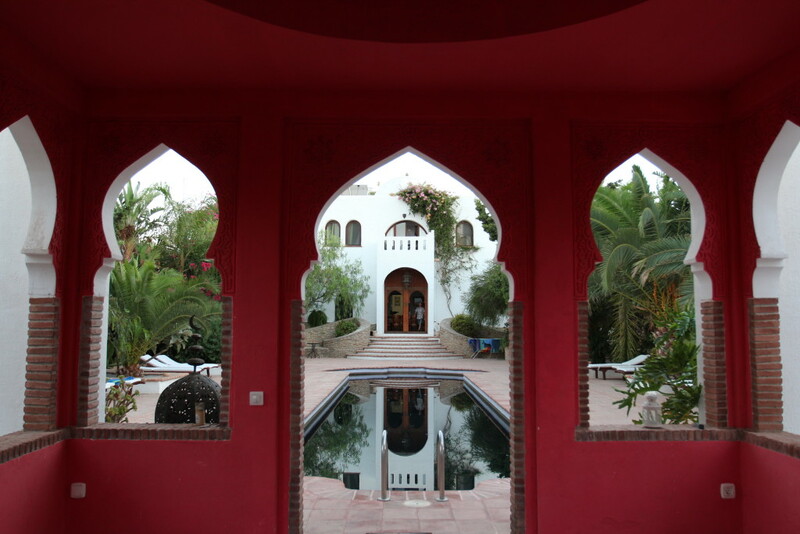 After spying a few photographs of beautiful Moorish architecture, a glittering swimming pool and a few secluded hammocks, I immediately confirmed my stay: a yoga retreat at La Finca Paradiso now just a matter of weeks away. (Tip: I booked my retreat via Yoga on a Shoestring). 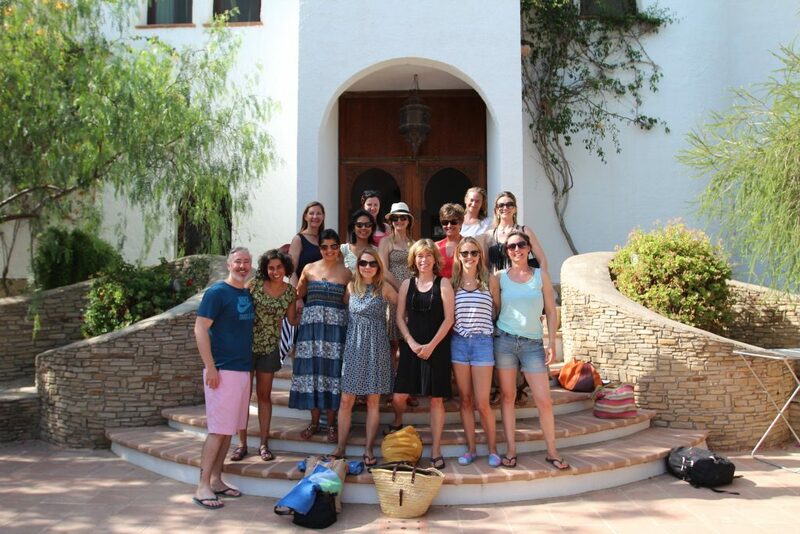 August came around quickly and before I knew it, I was on a bus with sixteen new friends, headed towards the Spanish countryside. 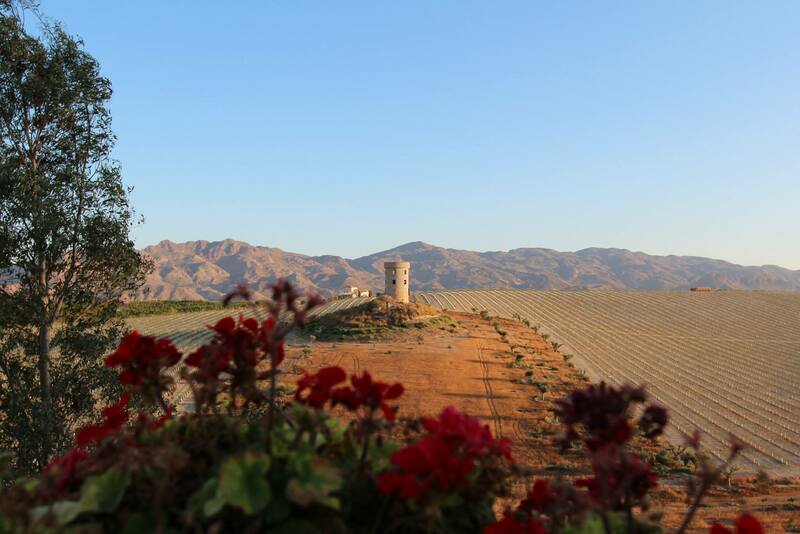 Getting to La Finca Paradiso was incredibly straightforward: the airports of Murcia and Almeria close by (I flew into Almeria and the journey onwards took just under one hour). Both airports are serviced by low cost airlines, including Easyjet and Ryanair. A private transfer was included in the cost of my retreat, and we were met by the driver (along with the other yoga-goers) at the airport. The entire process was seamless, and our driver immediately put us at ease. Following a meandering road towards Spain’s south-east coast, we eventually stepped off our bus and into our Utopian Retreat: La Finca Paradiso. Designed and built by Penelope Salmon two decades ago, the Finca was her attempt at recreating the Gardens of Eden: a quiet, colourful and entirely off the grid eco-retreat. Walking into the Finca’s main courtyard, I was immediately hit by the warm, evening air. The sound of cicadas vibrated around us, palm trees swayed in the breeze and the beautiful smell of flowers, lemons and limes hung in the breeze. It seemed that Penelope had been successful in her quest; this place really was a lost paradise. A sprawling retreat comprising of a number of different accommodations, I would be spending my time within the large family house that stood at the heart of the carefully restored Finca. 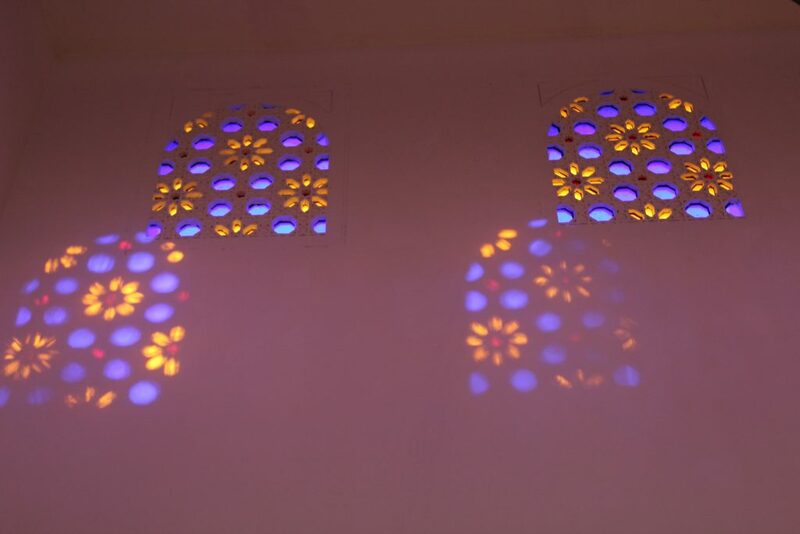 Others were alternatively staying in the secluded apartments that were tucked away across the site, whilst there was also the option to stay in traditional Berber tents. 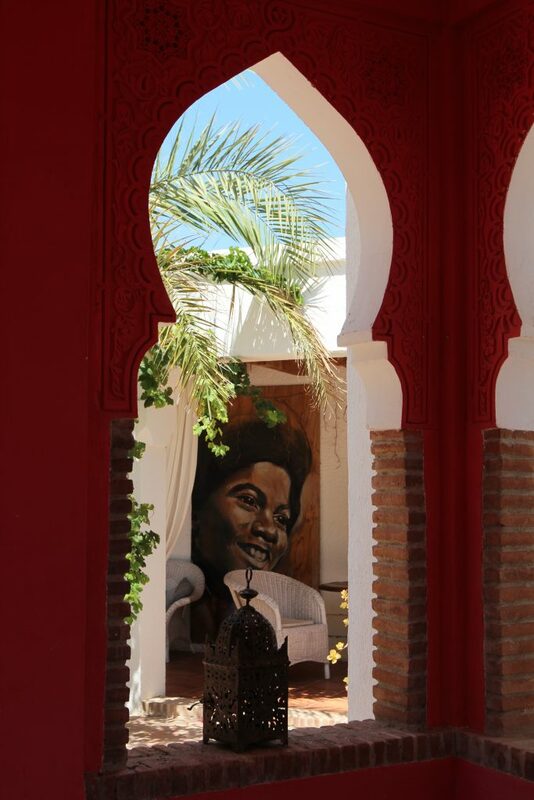 The house itself was beautiful: full of vibrant art work, Moroccan inspired tiling and delicately carved wooden screens. As I was staying in the main house, my room was the light and airy ‘Citrus Room’; shared with one another lovely roommate. Our room, although small, was perfectly proportioned and had beautiful views across the pool; its windows filled with a dusty pink light each morning. The days at the retreat were very similar to those at Silver Island. We began each day with an 8 -10am yoga class, followed by a healthy breakfast of fresh figs, fruits, yogurts and berries. After a few hours of lounging in the sunshine next to La Finca Paradiso’s beautiful (solar powered and warmed) pool, it was next time for lunch inside the house’s refreshingly cool dining room. Somewhat heroically, I’d then manage to fit in a siesta or massage, before another yoga class from 5 – 6.30pm. The evenings – a hazy mix of starry skies and the smell of baked earth – were largely based around food and talking, the beautiful grounds of La Finca Paradiso lit up by sparkling lights. I was lucky enough to be on a retreat led by Zephyr Wildman; a fantastically experienced yoga teacher. For anyone based in London, Zephyr teaches regularly at The Life Centre in both Islington and Notting Hill – and I couldn’t recommend her more. Alongside our regular Asana practice, Zephyr also took us through a dazzling amount of yoga related theory and philosophy. From Doshas to Kleshas, meditation to anatomy, we were treated to a whirlwind insight into the eight limbs of yoga. I found it all genuinely fascinating: who knew my Dosha type was Vatta and that I constantly hyper-extended my right leg? Zephyr was also fantastic in helping me with my meditation – something I’ve always struggled with. Aspects of meditation scare me and I’d rather do anything than sit alone with my memories and thoughts. Yet Zephyr helped me to get past these stumbling blocks and by the end, I was finally enjoying sitting quietly for 15 minutes, in my own mindful peace. The grounds of La Finca Paradiso, Spain, were much like a mini oasis. 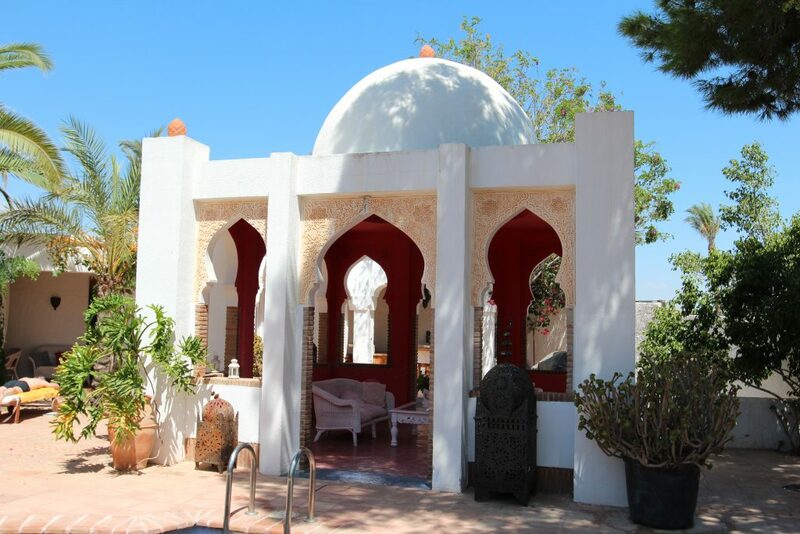 Guests were able to freely explore its many acres; discovering art work, sculptures, hammocks, fig trees, lemon and lime trees, yurts and even roaming tortoises. Guests also had access to the kitchen at all times, with fruit, tea and cake ever on hand. Massages and facials were also available at an additional cost, and I enjoyed an incredibly painful (yet bizarrely enjoyable) 90 minute Thai massage. Half way through our Utopian retreat, we decided to leave behind the safe confines of La Finca Paradiso for a trip to the Spanish coast. Climbing onto a bus, we drove the short distance to Mojácar, where we had time to explore this beautiful coastal town and enjoy a leisurely lunch. Due to the heat, the exploring lasted ten minutes, before we took a local bus to the nearby beach. The rest of the day was then spent sunbathing, drinking beers and attempting a few aborted handstands. It was utter bliss. 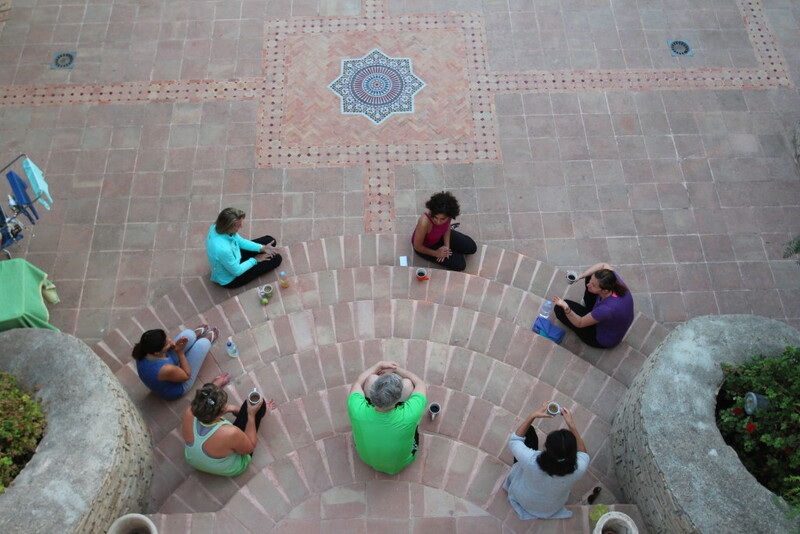 Writing about experiences such as yoga retreats is incredibly difficult. Explaining where you went, what you did and what it looked like is perhaps easy; but anything past that gets harder to articulate. Indeed, yoga retreats are less about the sights you saw, the activities you did and the nights you had, and instead about those less tangible things: thoughts, feelings and moods. 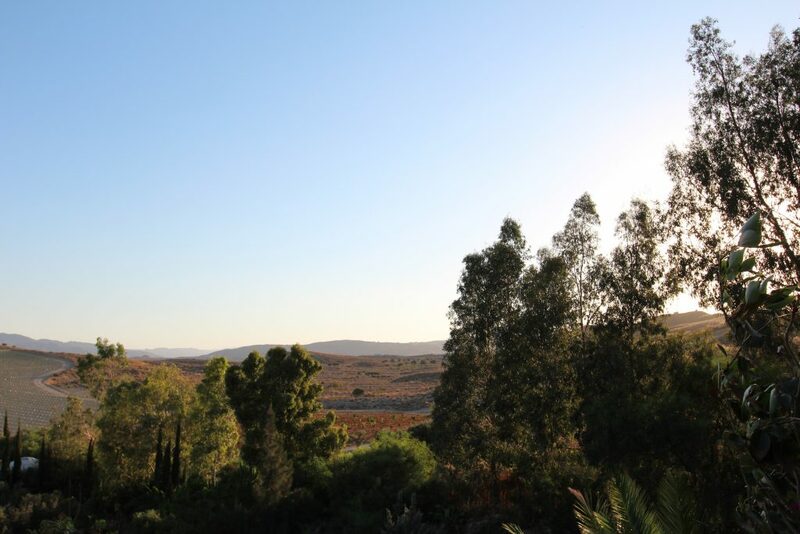 Perhaps it was all the yoga and meditation, or maybe it was the healthy food and long sun drenched days, but my time at La Finca Paradiso in Spain was truly special. Regardless of whether or not you can touch your toes, or can sit and meditate for hours on end, yoga retreats such as these are something that I’d recommend to everyone. Get a little bit of ‘omm’ in your life and you’ll feel a whole lot better; I promise. "Glamping it up in the Cotswolds"
Yoga retreats always look so idyllic but unfortunately pretty pricey! Maybe one day!